Rev. 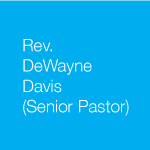 DeWayne L. Davis is a cleric ordained in the Universal Fellowship of Metropolitan Community Churches (MCC) with expertise in social justice analysis, advocacy, and organizing and a passion for Christian education and preaching. He currently serves on the MCC Global Justice Institute’s Public Policy Team, representing the denomination’s public policy advocacy initiatives at the federal level. Rev. Davis received his clergy training at MCC of Northern Virginia, serving two years assisting the senior pastor with all aspects of worship and pastoral care responsibilities. He previously served as Assistant Project Manager of MCC’s 25th General Conference worship team in 2013 and as the Program Coordinator for MCC’s 2011 People of African Descent (PAD) Conferece, designing and organizing workshops and continuing education opportunities for lay and clergy. Rev. 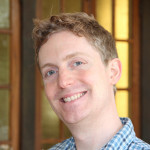 Davis recently served as the Domestic Policy Analyst in The Episcopal Church’s Office of Government Relations where he represented the domestic social policies established by the Episcopal Church’s General Convention and Executive Council, including issues of human rights, welfare, poverty, hunger, health care, violence, civil rights, the environment, and issues involving women and children before the U.S. Congress and the Executive Office of the President.Rev. Davis’ career as a Congressional aide and government affairs representative preceded his professional ministry studies, to which he was ordained on November 17, 2012. He holds a B.A. in Economics and Philosophy from Howard University and an M.A. in Government and Politics from the University of Maryland at College Park. Rev. Davis received his Master of Divinity degree with honors from the Wesley Theological Seminary in Washington, D.C. He was a member of the President of Wesley Seminary’s Dean Search Advisory Committee and the Steering Committee for the Lewis Center for Church Leadership at Wesley. He was also the recipient of the Maryland Bible Institute’s Excellence in Biblical Preaching Award in 2012. 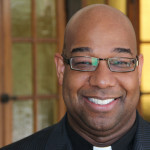 He has more recently been appointed to serve on the Advisory Committee of the Center for Public Ministry at United Theological Seminary of the Twin Cities. Rev. 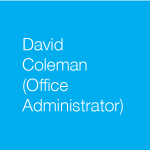 Davis was born and raised in Indianola, MS but has spent most of his life in the Washington metropolitan area. He currently lives in Minneapolis with his husband of twenty-three years, Kareem. Mike’s formal training in music and music education is extensive. He holds a Bachelor’s degree in Music Education from Bethel University and a Master’s degree from Saint Mary’s University. During his college years, Mike performed on trumpet and organ throughout the United States, Sweden, and Norway. He’s an excellent music educator, having written two music theory workbooks still used in many schools today, and having served as a music educator and Music Department Chairperson for eleven years. He has conducted concert bands, Jazz and other ensembles, and a high school marching band during his career. He also served numerous years as a guest clinician and conductor for the Schmitt Music Instrumental Program’s All State Honors Band. 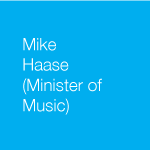 Mike is also an accomplished organist and pianist, a respected coach/accompanist, and a singer. He has served as a church organist for over twenty years at various churches. Mike came to All God’s Children in 2002 and immediately became involved with the music ministry. In 2004, he became the Minister of Music, assisting with the planning of liturgy and overseeing the arrangement of worship music for the Sunday morning blended service and special programs. He also conducts the Chancel Choir, Praise Band, and Chamber Instrumentalists. 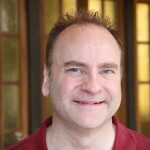 Mike works full-time with The Virant Group, a software development company, where he is the Operations Manager. Mike has recently served on the worship planning team for MCC’s recent global conference meetings. David joined AGC’s staff in 2013, bringing with him a wealth of organizational, volunteer recruitment, programming, and administrative skills. He is the co-founder of Synergized Communications, which is a full-service information technology solutions and multi-media company that focuses on political and social advocacy campaigns. He possesses extensive gifts with website design, video production, and advertising. He has attended Metropolitan State University, North Central University, and the United Theological Seminary of the Twin Cities. David is an active member of the congregation, serving on the Praise Team, participating in Revolution (the Young Adult Ministry), establishing a burgeoning creation care ministry, and chairing the recent Pastoral Search Committee. David helped lead a group of young adults who participated in the denominations’ first-ever Young Adult Gathering. He shot and edited a video cataloging the journey (Minnesota to Florida) that the denomination later used as a recruitment and promotional piece for its Young Adult Ministry program.